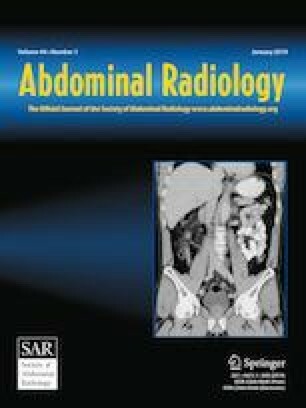 To compare the rates of colorectal and extracolonic findings at CT colonography (CTC) screening between patients with and without a personal prior history of other. Over a 160-month interval, 349 adults (mean age, 60.3 years; 67% female) with a positive history of extracolonic cancer [Ca(+)], excluding 271 patients with isolated non-melanoma skin cancers, underwent CTC screening. This study cohort was compared against 8859 controls (mean age, 57.0 years; 53% female) without a prior cancer history [Ca(−)]. Primary outcome measures included the rates of relevant colorectal (C-RADS C2–C4) and extracolonic (C-RADS E3-E4) findings at CTC. Wilcoxon rank sum test was used to test for statistical significance with post-hoc analysis by relative rate (RR). Both colorectal (C2–C4) and extracolonic (E3–E4) findings were significantly increased in the Ca(+) group versus Ca(−) control group (p = 0.0283 and 0.0236, respectively). Positive colorectal findings were most notably increased among survivors of non-small cell lung cancer (RR 3.1), head/neck cancers (RR, 3.4), and bladder cancers (RR 2.2). The proportion of C2–C4 patients undergoing intervention in the Ca(+) cohort was not significantly different than the Ca(−). Potentially relevant extracolonic findings (E3) were increased in survivors of hematogenous malignancies (RR 2.0), while likely important extracolonic findings (E4) were increased in survivors of female gynecological malignancies (RR 3.4). Relevant colorectal and extracolonic findings at CTC screening are increased in patients with a previous extracolonic cancer history, particularly among certain cancer subsets. These results may have important implications for choice of colorectal test in these patients. MEL was supported by Ruth L Kirschstein National Research Service Award F30CA189673 from the National Cancer Institute, and by T32GM008692 from the National Institute of General Medical Sciences awarded to the University of Wisconsin-Madison Medical Scientist Training Program. Dr. Pickhardt is co-founder of VirtuoCTC; shareholder in Elucent, SHINE, Cellectar Biosciences; and advisor to Bracco. Noone A, Howler N, M K, Miller D, Brest A, Yu M, Ruhl J, Tatalovich Z, Mariotto A, Lewis D, Chen H, Feuer E, Cronin K (2018) SEER Cancer Statistics Review 1975–2015, National Cancer Institute. https://seer.cancer.gov/csr/1975_2015/.